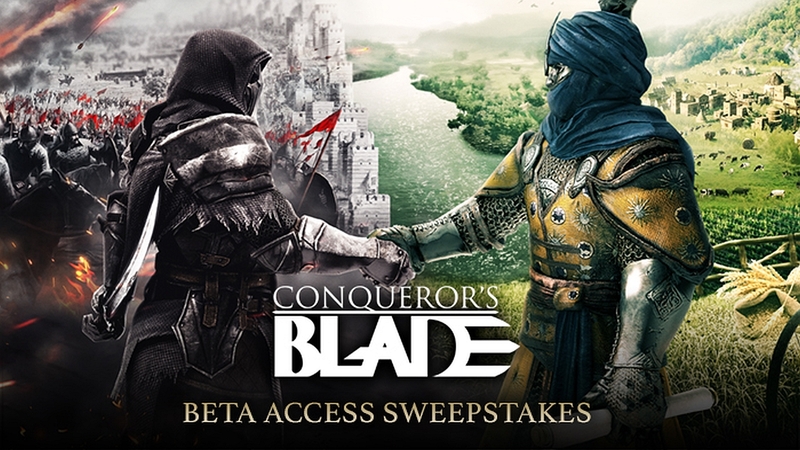 Conqueror’s Blade is starting its first fully featured Closed Beta test today. There were others some time ago, as you might recall, but none featured the game’s distinctive open world elements that are going to be available in this test. Grab one of the five hundred beta codes we got from My.com to join the frantic battles between Warlords. They’ll be available on a first-come, first-serve basis. For more on this free-to-play MMO medieval warfare game, check our previous hands-on preview and our interview with Xi Wang, CEO of the Chinese studio Booming Games. Because there are aspects of Conqueror’s Blade’s gameplay and technical infrastructure that need to be tested in isolation before they are finally brought together, the CBT will be divided into consecutive stages. On February 7 at 15:00 CET (06:00am PST), CBT Stage 1 will get underway and it’s planned to run 24/7. There might be an impromptu update required, but the servers should remain up until February 15. Then, on February 18 at 10:00 CET (01:00am PST), the House CBT Stage will commence, on which we’ll have more details nearer the time – stay tuned!